Canada is ready to support an international peacekeeping mission in Ukraine, if it is approved by the United Nations. Canada's Assistant Deputy Foreign Minister Mark Gwozdecky said this during the hearings in the parliament, an Ukrinform correspondent reports. "Our position is to understand whether we can agree on a peacekeeping mandate in order to achieve our main goal. If so, we will fully support such a mission," he said. He has explained that restoration of the sovereignty and territorial integrity of Ukraine should be the main task of UN peacekeepers. "The Foreign Ministry is studying the concept of the UN peacekeeping mission in Ukraine. 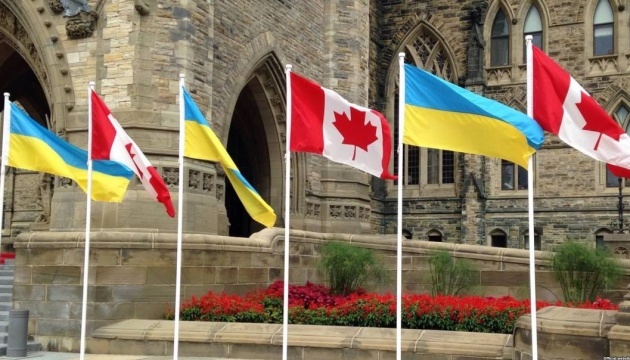 Minister Freeland touched upon this issue at the meetings with the President and the Prime Minister of Ukraine, the U.S. Secretary of State and many others to determine the way the peacekeeping mission can contribute to our main goal, namely: to support the sovereignty and territorial integrity Ukraine," he stressed. At the same time, he added that many issues arose regarding some partners and their desire to agree on this mission.